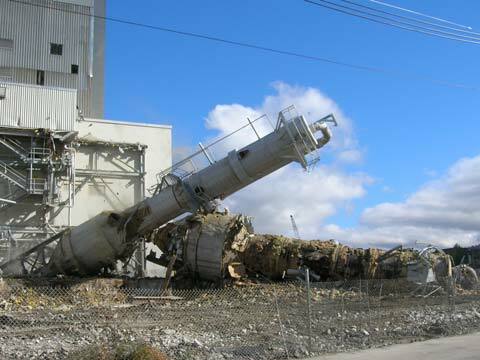 The dismantlement of a specific structure or equipment that does not involve bringing down the entire structure. Industrial plant strip outs have become a specialty to NADC. In many cases it is imperative that these projects are completed on time or ahead of schedule. While these time constraints are important, safety is never compromised. See more information on our Industrial Strip Out services. NADC has quoted and completed many of these strip out projects for automotive, energy, chemical, foundries and mills. As a prime contractor or hired as a demolition subcontractor. NADC has completed a list of projects for various schools, university's, churches and local municipalities. NADC has assisted on commercial building renovations and remodels. Commercial construction can cover industrial, schools, churches and office complexes. on your selective demolition project.